This is part of my 2-month long series leading up to a full craft room reveal! I have been working so hard on organizing and decorating my craft room and can’t wait to share the end result! Subscribe to my e-mail list to stay updated on my progress! Oh, sorry. We’re not shopping right now. We’re organizing. I got distracted. 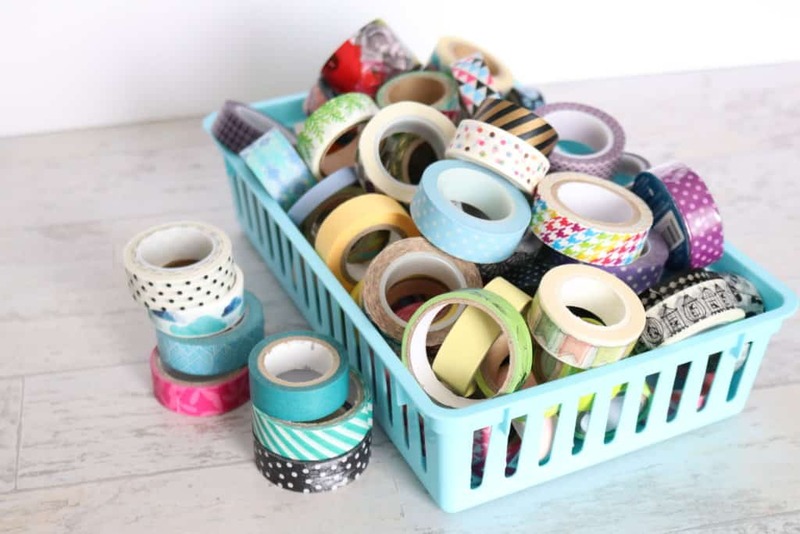 My washi tape has had a lot of different homes in my craft room–sandwich bags, random drawers and boxes–and I’d finally had enough. 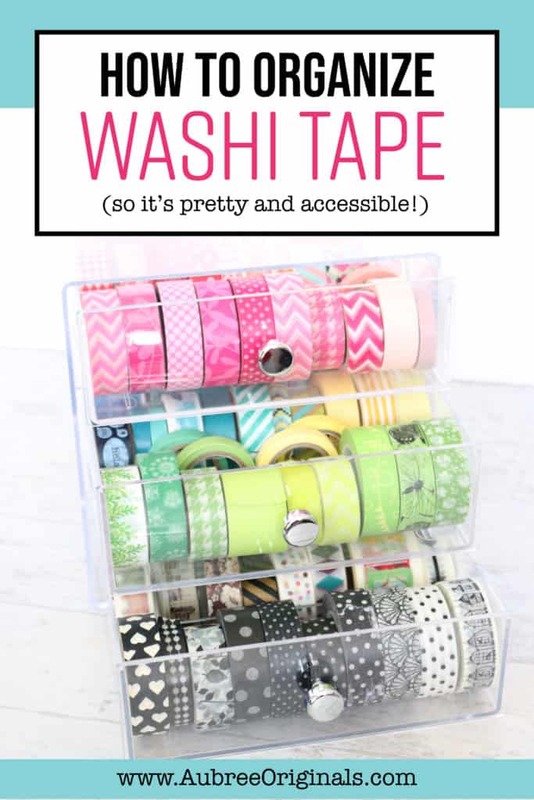 Mostly because I was always forgetting about all that cute washi tape when it was hidden away in those places. So, as part of my big craft room reorganization project, it was important to me to find a container that would allow me to easily see and access all those cute rolls. 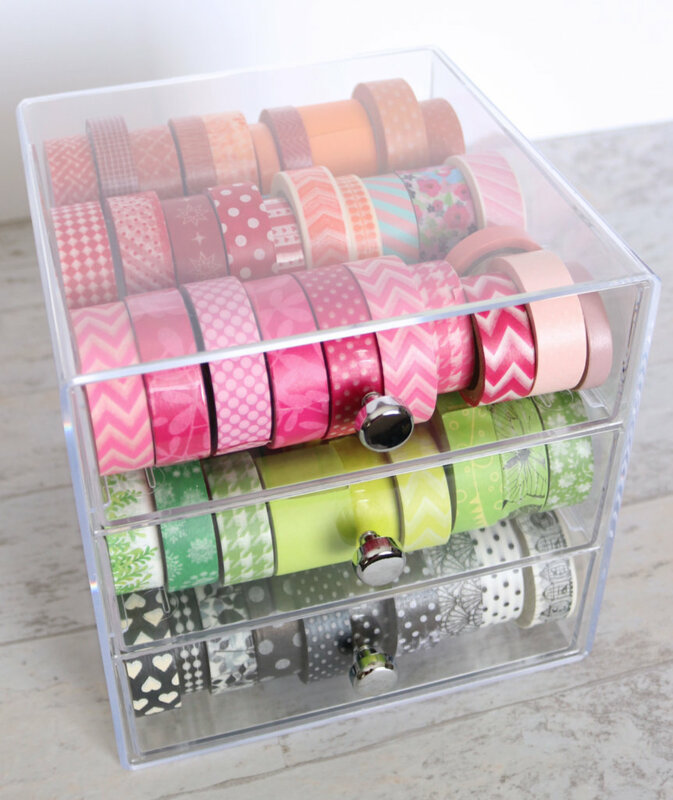 It has built-in dividers in each drawer and holds about 80-90 rolls of washi tape, depending on the size. I only had a few rolls that were too tall for the drawers, but I don’t use them nearly as often so I didn’t mind storing them somewhere else. You may have seen something similar to this organizer at Michael’s. I did, and I was so excited about it! Until I saw that the acrylic wasn’t actually clear and had a bluish tint to it. So disappointing! But I can tell you that this holder from Amazon is 100% clear! 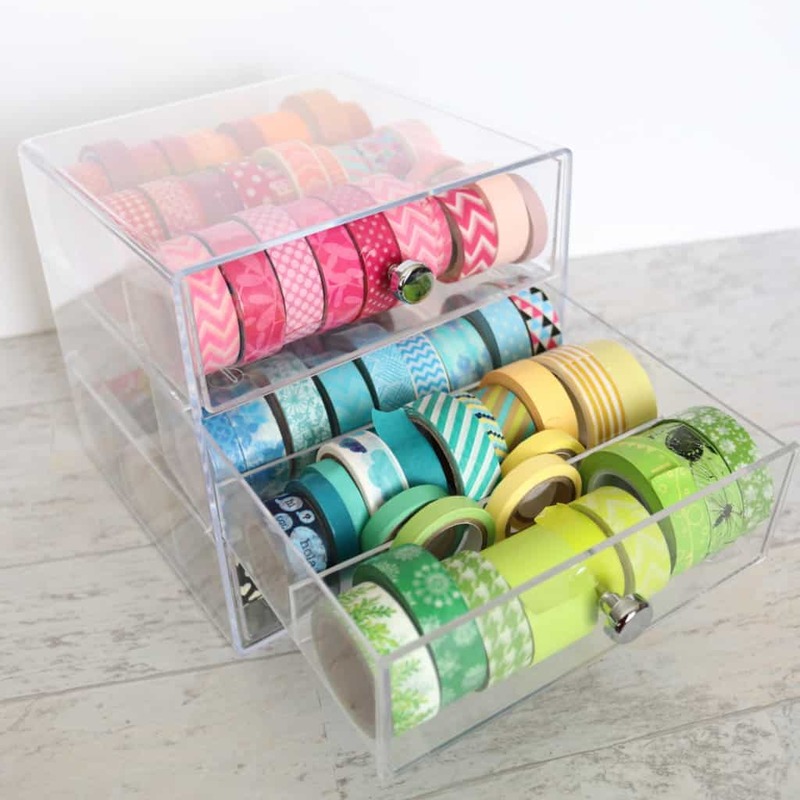 I’ve seen other methods of storing washi tape that utilize a pants hanger or a dowel rod or even a paper towel holder, and while it makes for a pretty display, it’s not nearly as functional as these clear drawers. I don’t want to have to remove every single roll of washi tape to get to the one on the bottom or in the middle. Besides, it would drive my OCD crazy if I had to re-sort by color every time I did that. I will tell you one thing about this drawer set, just in case you purchase it and realize you can’t live with it: the drawers don’t have stops, so they will fall out if pulled too hard. 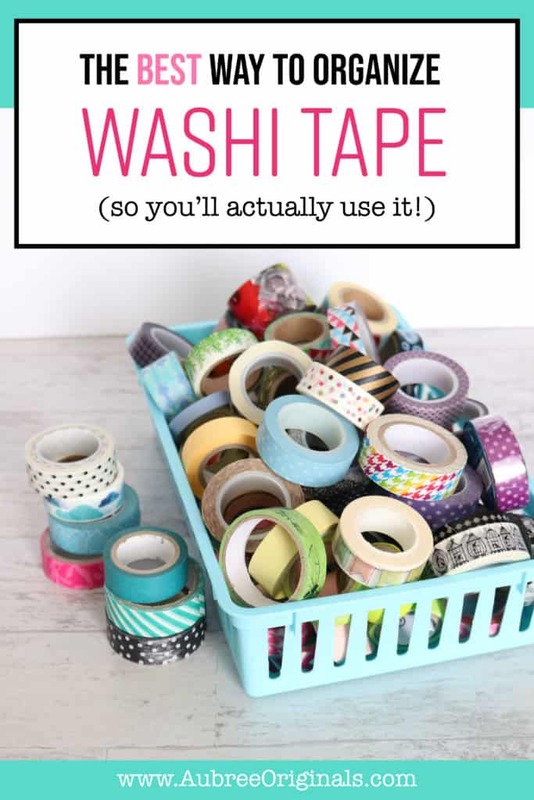 (Maybe not the best thing if you have small children around or if you don’t have a designated space to display your washi tape.) However, I personally like that I can remove an entire drawer if I want and move it to my work space. But I understand if that’s not for you. If you’re nervous about the drawers and want a more secure option, something like this would be just as efficient and easily accessible. And you’re still getting the benefits of being able to see all of your tape at a glance and being able to easily remove whatever roll you’re trying to access. I even came across this option if you have a really large collection and would appreciate a carrying handle on your container. Do I want to be able to see all my tape at a glance? Do I want to be able to easily remove one roll at a time without having to disturb all the others? Do I need a container that closes? That’s stackable? That has a carrying handle? 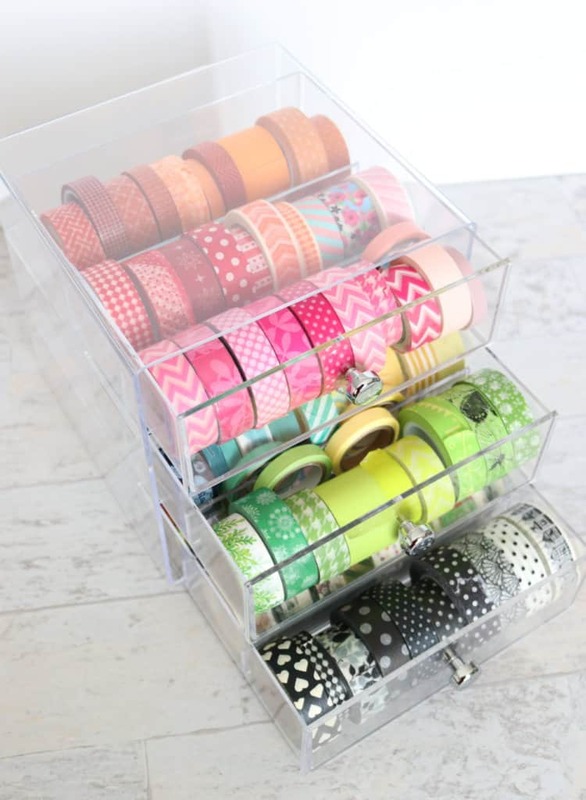 How many washi tape rolls do I have/how big of a container do I need? 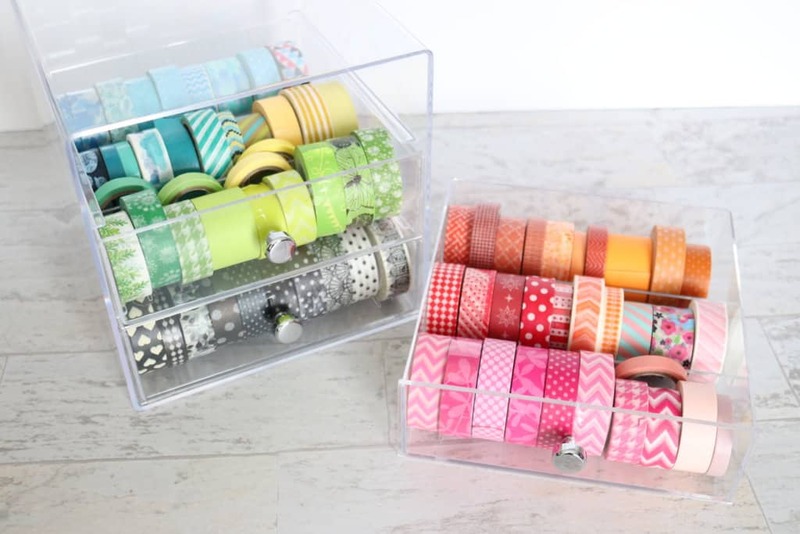 I hope this has inspired you to get your own washi tape collection organized! Of course, everyone’s organizational needs will be slightly different, and there’s really no right or wrong way to do it. Feel free to share what has worked for you in the comments below!